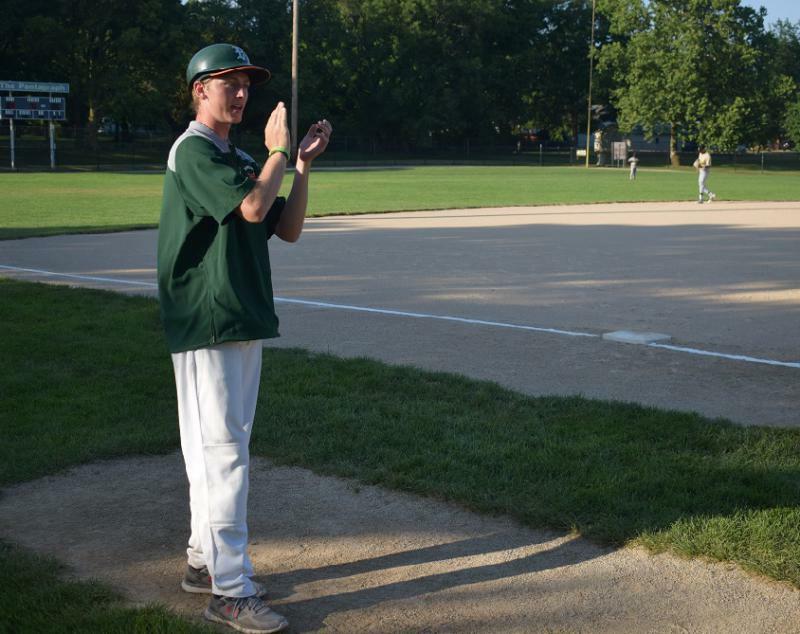 Jake Wegner coaches along the third base line during the Bloomington Bobcats game on July 11. Jake Wegner has defeated cancer. Twice. Wegner was a senior at Normal Community High School in February 2015, a few months ahead of graduation and a bright career in college when he was planning to continue his baseball career. Then his life changed forever. “I just wasn’t feeling right one day and stayed home from school for a few days,” Wegner said. Doctors at Children’s Hospital of Illinois in Peoria determined he had a 10-pound tumor in his stomach. 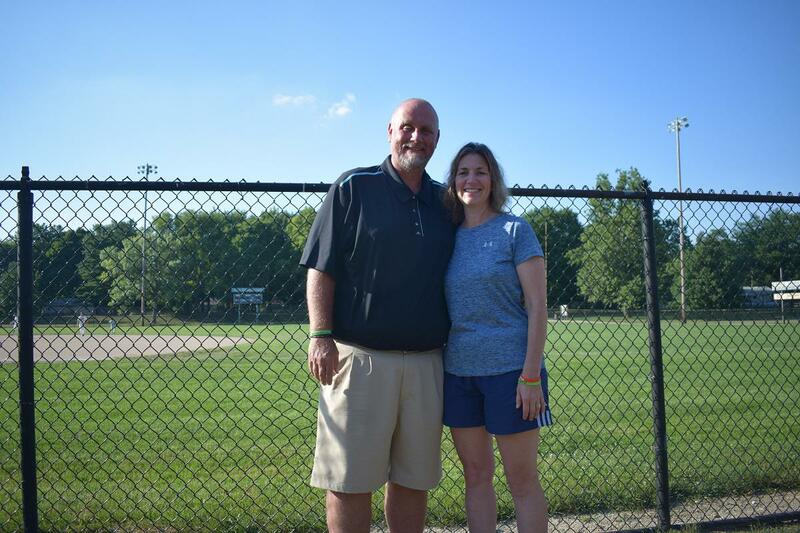 Parents Matt and Lisa Wegner said they look forward to the day when Jake will be able to play baseball again. “I was a little more calm than my parents for sure,” Wegner said. “It’s very hard for a parent to hear (your child has cancer). I was just staying calm and in the moment. Parents Matt and Lisa Wegner said Jake’s recollection of receiving the diagnosis was accurate. “Jake made the process very, very easy, as he expressed his faith in God and his love for his family and his faith in his doctors and was just very positive,” Matt Wegner said. Jake went through months of cancer treatments first in the winter of 2015 during his senior year of high school, then again in early 2016 after a relapse, which doctors determined was Stage Four neuroblastoma. He had to drop out of school at Central College in Pella, Iowa, because the treatments were so intense. He lost close to 30 pounds twice and has nearly gained it all back. Doctors ruled him cancer free in May 2017. Lisa Wegner said Jake never gave up hope during his lengthy and strenuous cancer treatments that we would one day play baseball again. “His body is still repairing from all the treatments, but even if it’s a couple years from now he gets to play that would be great,” she said. “We know there’s the possibility that he might not ever play again, but I think he’s OK with that. Jake conceals braces on his knees because he doesn't want to people to see his disability but said there's no timetable for when his legs will be able to regain strength. Still, he has kept his baseball future in the back of his mind during this entire ordeal. “It’s just a game in reality, so it’s not the most important thing in life, but I am a competitor and that’s one of the reasons I do fight every day to keep improving my health,” Wegner said. “I do want to come back and the comeback is going to be so great. “I hope this doesn’t sound selfish but it’s going to be a great story, when I finally can step back on that field and play again. But since at the moment I can’t play obviously, coaching this summer and being close to the game is important. As fate would have it, Jake got an unexpected call from a coach he had known since he was 9 years old. 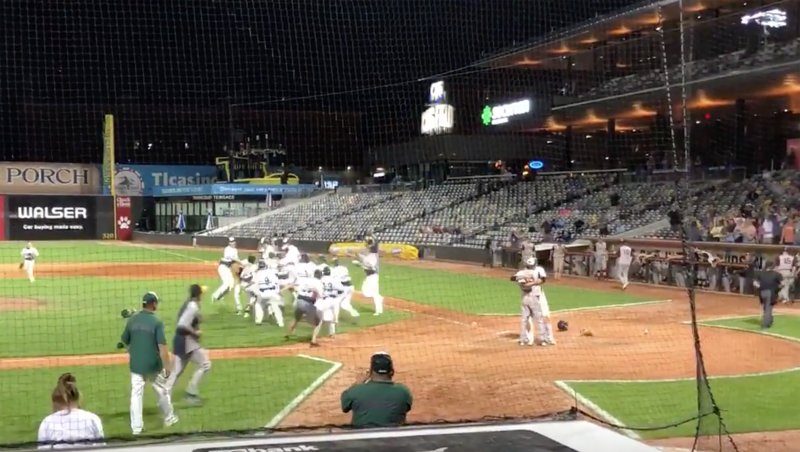 Mike Brown is general manager of the Bloomington Bobcats, which play in the Midwest Collegiate League, a wooden bat summer league of college-age players. Brown called and offered the 21-year-old the head coaching job. 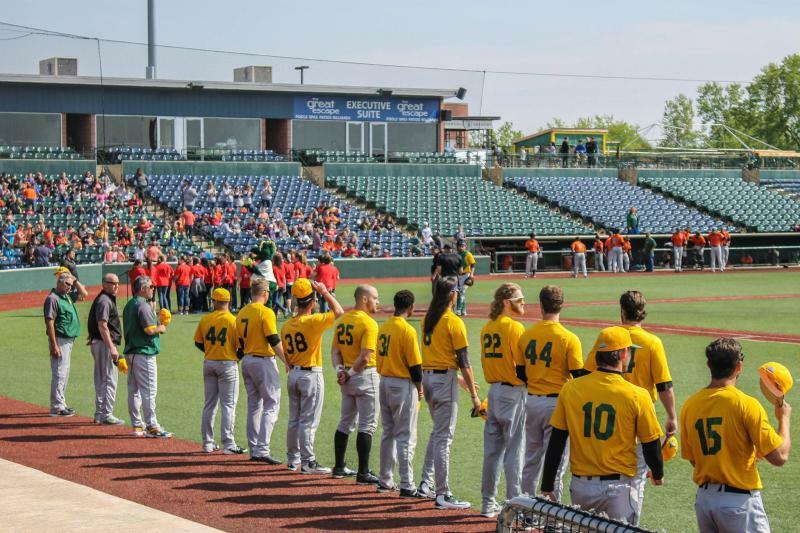 Despite his age—Wegner is as young as most of the players he coaches—and his often calm demeanor, he instantly earned the respect of his players, including Garrett Shea, a junior at Illinois Wesleyan University. Billy Mote played against Wegner as far back as the seventh grade and later in high school at University High in Normal. Wegner has also been helping the coaching staff at Central College with hopes that he will be able to play again. An excerpt of GLT's story. GLT's full story on Jake Wegner.